Ivy Cutting is special graduation ceremony held in Tiffany Loop that represents both students’ ties to Seattle Pacific and the independence that comes with graduation. 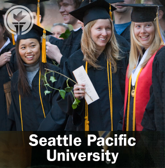 Watch the 2012 Ivy Cutting ceremony on SPU iTunes U. 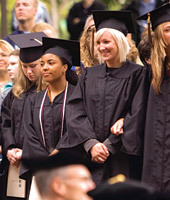 Listen to the 2012 Baccalaureate Service as graduates and their families, friends, and professors participate in a worship service celebrating their time at SPU.